Why meal plans don’t work and why everyone wants to follow a meal pan. 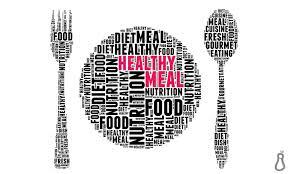 The truth is that meal plans are created to match your goal and many of them are designed for short period of time – 6-8 weeks. Can you imagine yourself following a plan religiously for the rest of your life? I certainly don’t see myself. No one wants to be told how much to eat and weighing their food. My first approach to every single client of mine is to start changing their eating habits, starting with breakfast. All these options include Protein, something to keep them fuller for longer. Instead of having few biscuits at 11.00, I would suggest them to snack on blueberries or strawberries. Lunch option: Instead of having a Tuna and Cucumber sandwich and a bag of crisps, let’s visit the other aisle with ready cooked chicken breast and mashed potatoes. Or ready cooked chicken breast with a salad bowl. It is something that will keep you fuller, higher in nutrients and it’s much cheaper. When the afternoon comes, cakes and biscuits are coming in to front line. Switch them with yogurt and pineapple or cottage cheese with blueberries. Why not a protein bar? Dinner, most of the time is something easy and ready cooked. Or online meal delivery… Let’s save some more money and do something similar as your lunch. If you have a frozen fillet of fish, place it in the oven – 15-20 min, while this is getting ready, put a bowl of frozen vegetables in the microwave for 3 min and your dinner is ready. Start with small changes. Don’t over complicate your life. Remember its your body and you are in charge of what goes in it. Imagine of your body like an expensive car. If you out a cheap fuel, it will break. Same with your body.